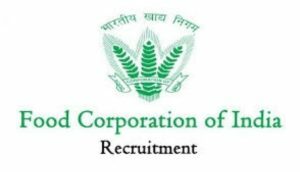 The FCI (Food Corporation of India) has started the application process for the FCI 2019 Recruitment that will fill up at least 4103 vacancies. The FCI (Food Corporation of India) recruitment process is set to fulfill job posts of Typists, Stenographers, Junior Engineers, Assistant Grade 2 and Grade 3 positions, you can check more details at their official website which is fci.gov.in. All candidates who are willing to apply in the FCI 2019 Recruitment can apply before March 30, 2019. The first step is to go to their official website which is fci.gov.in. The second step is to find and click on the option that you chose to apply in. The third step is to read the application process and registration details for the FCI 2019 Recruitment carefully before you submit your application. The fourth step is to download and print out the application so you can use it in the future for references. All candidates can check the official notice for the FCI 2019 Recruitment once it is released so you can have more knowledge and information about the job vacancies that are being offered, qualification criteria, eligibility criteria, reservation policies for the differently-abled candidates, reservation policies for the OBC, ST, and SC, exam centers, exam patterns, and the time of application processing.